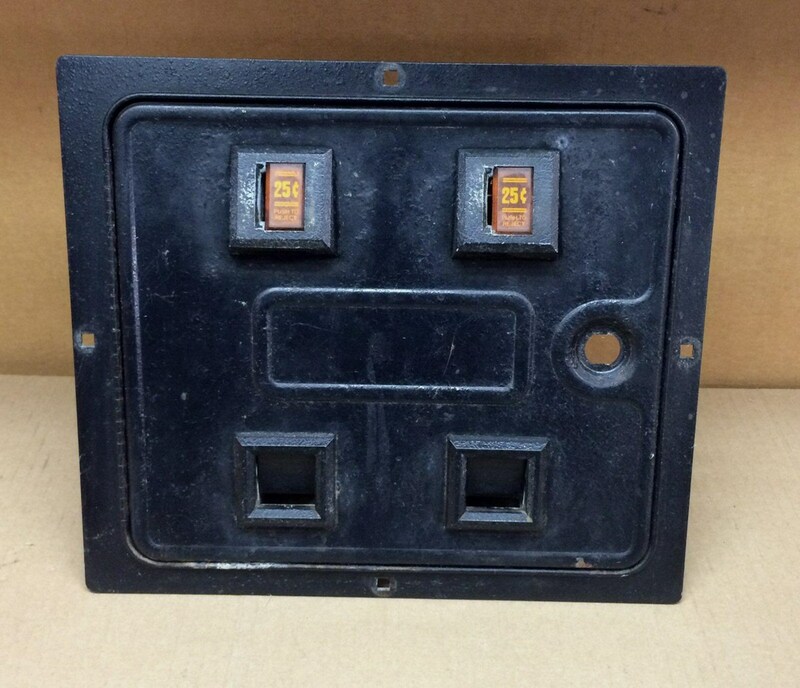 Original 2-slot style coin door used in many classic arcade games. 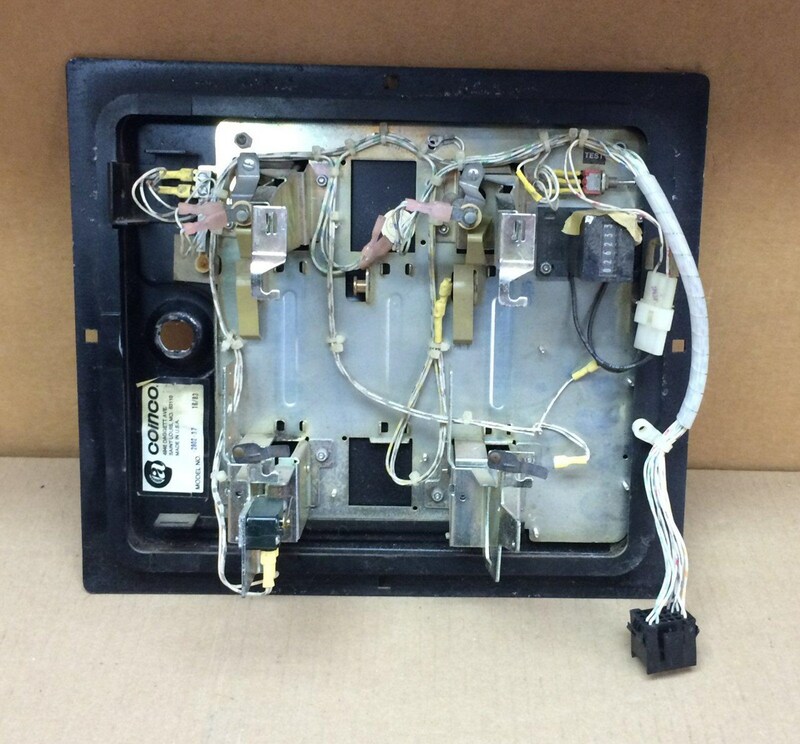 We believe this coin door was wired for an Atari game, although it will fit on many other games. The door is used, but overall in good condition. Could use a quick cleaning and a fresh coat of paint, but overall pretty nice. 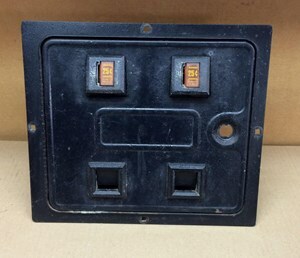 The outside dimensions are 13 1/2" wide by 11 11/16" high. with a roughly 5/8" lip for mounting.